Dr. Joginder Singh Shan is a versatile multidimensional writer. He writes poetry, as well as, prose in Punjabi and some other languages like Urdu, English and Kashmiri. He is the proud author of a number of books in almost all the aforementioned languages. He has earned ovations in the shape of awards as well as inclusions in a lot of reference books. Tabhai Gobind Singh Naam Kahaaoon". 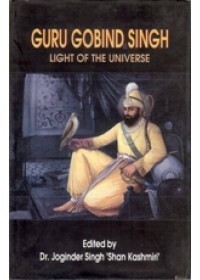 The Book "Guru Gobind Singh Light of the Universe" discusses Guru Gobind Singh's mission his contribution to India history, his relations with his Muslim devotees, his struggle for secularism, his struggle against the Mughals and his religious philosophy. It is a matter of historical facts that Guru Gobind Singh mentally prepared his own father to sacrifice his life for protection of religious rights of Kashmiri pandits against the brutal rule of Aurangzeb. Right from the day i.e.24th Nov, 1675AD, Guru Tegh Bahadur, the 9th Sikh Guru and father of Guru Gobind Singh was martyred in Chandni Chowk, Delhi under the orders of Aurangzeb, Guru Gobind Singh started his practical struggle against the communally fanatic ideology of Aurangzeb. The basic essence of his struggle was to contain the ideology of forcible religious conversions as well as protection of the helpless Indian (Hindu) populace of the time. Guru Gobind Singh choose his Panj Piyaras(favourite five) from various caste bases of Indian people i.e. Nai, Jheevar, Jaat, Khatri and Chheemba. These favourite five of Guru Gobind Singh not only belonged to various castes of Indian society, but also to different areas of Indian sub-continent like Dwarika, Bidar, Delhi, Lahore etc. In this way, Guru Gobind Singh had in his mind the philosophy of unification of India, ethnically as well as geographically. It is a matter of sorrow that the same Indian (Hindu) society for whom Guru Gobind Singh started and continued his struggle, preferred not to remember the struggle and sacrifices of Guru Gobind Singh in the posterity. As a result, the Indian society had been facing the similar problems during the following centuries. The problems are continuing still. Apart from Dr. Joginder Singh Shan, Writers and Scholars like Rajinder Pal Singh Boparai, R. S. Dhingra, Dr. Bhai Dharmanant Singh, Isher Singh Chawla, Prof. Bharpur Singh, Dr. Taaran Singh, Prof. Abdul Majid Khan , Dr. Govind Singh, Dr. C. H. Loehlin, Dr. Fouja Singh, Ganda Singh, Marguerite Allen, Harvinder Singh, Prof. Hazara Singh, K. V. Advan, Prof. Harbans Singh, Prof. Bhagat Singh and Prof. Rajinder Singh have also thrown light on various aspect of life and philosophy of Guru Gobind Singh. 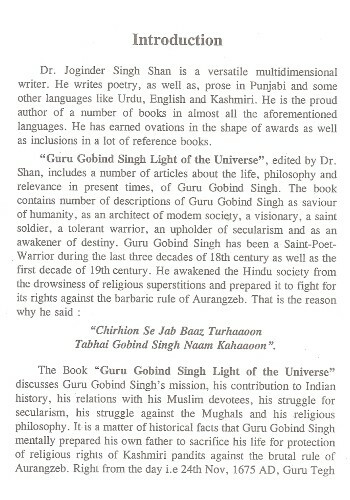 The Book also contains a translation of Dr. Rabinder Nath Tagor's poem in respect of life and philosophy of Guru Gobind Singh. 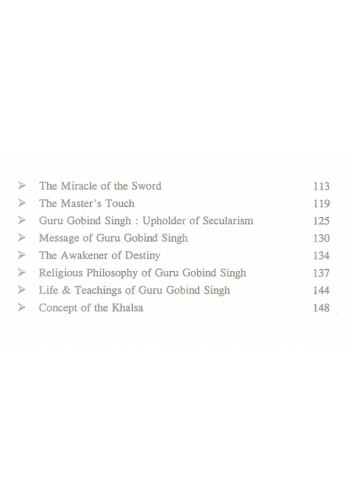 I am sure that this Book will help our society in understanding the religious and social philosophy of Guru Gobind Singh in a broader perspective. It is also hoped that the human race, especially the Indian society will come to a desirable understanding of the magnitude and scope of the sacrifices of Guru Gobind Singh for human society. The Book is before the readers. 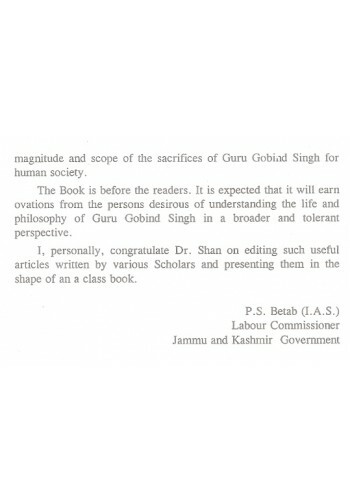 It is expected that it will earn ovations from the persons desirous of understanding the life and philosophy of Guru Gobind Singh in a broader and tolerant perspective. I, personally, congratulate Dr. Shan on editing such useful articles written by various Scholars and presenting them in the shape of an a class book. Dr. Joginder Singh 'Shan Kashmiri' is a versatile multidimensional writer. He writes poetry, as well as prose in Punjabi and in Urdu, English and Kashmiri. He is the proud author of a number of books in almost all the aforementioned languages. He has earned ovations in the shape of awards as well as inclusions in a lot of reference books. 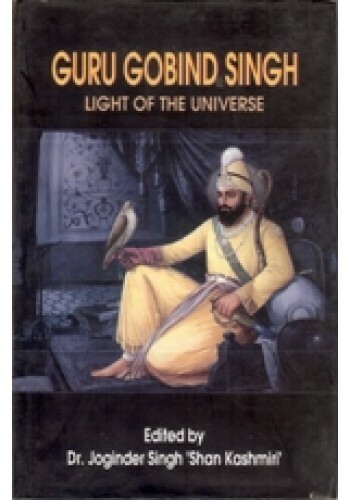 "Guru Gobind Singh Light of the Universe", edited by Dr. Shan, is a collection of 22 essays written by the experts about the life, philosophy and relevance in present times, of Guru Gobind Singh as saviour of humanity, as an architect of modern society, a visionary, a saint soldier, a tolerant warrior, an upholder of secularism and as an awakener of destiny. Guru Gobind Singh has been a Saint-Poet-Warrior during the last three decades of 18th century as well as the first decade of 19th century. He awakened the Hindu society from the drowsiness of religious superstitions and prepared it to fight for its rights against the barbaric rule of Aurangzeb. 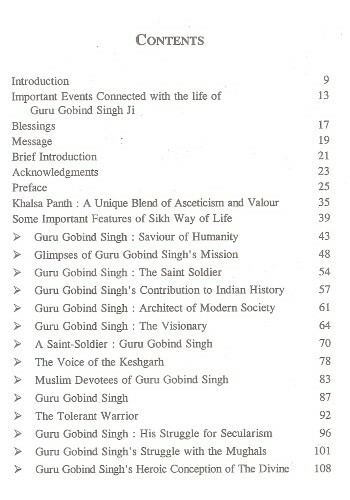 It also discusses Guru Gobind Singh's mission, his contribution to Indian history, his relations with his Muslim devotees, his struggle for secularism, his struggle against the Mughals and his religious philosophy. 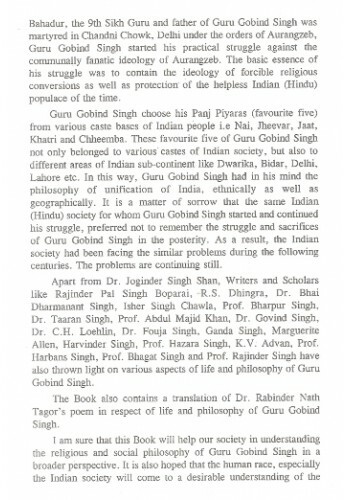 The Book also contains a translation of Dr. Rabinder Nath Tagore's poem regarding the life and philosophy of Guru Gobind Singh. This Book will really help our society in understanding the religious and social philosophy of Guru Gobind Singh in a broader perspective.